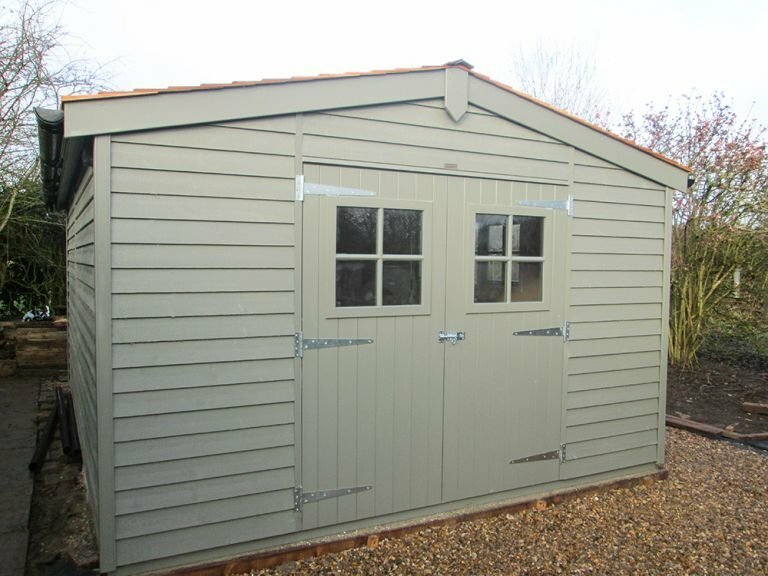 These two Superior Sheds have been installed in our customer’s garden in Tring, Hertfordshire to use one as a gym, and the other as a storage shed. These two sheds have been installed next to each other, so the customer wanted them to look the same. With this in mind, the external features they have chosen for their sheds are cedar shingle roofing tiles, weatherboard cladding, black guttering, and Valtti paint in the colour Ash. 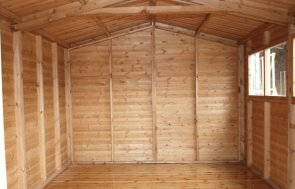 The smaller shed is 1.2 x 1.8m in size, and on the inside it is a very simple shed, with no extra features to use for garden storage. 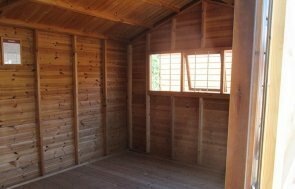 The larger shed is 3.6 x 4.8m, and this building has the addition of Georgian windows to add a traditional style to it, and because it is to be used as a gym, the customer has chosen to have full insulation, oak faced ply lining on the internal walls, double glazing, an electric pack, and heavy duty flooring (ex 38mm thick as opposed to our standard ex 19mm thick). We provide a full delivery and installation service as part of our package. We also have a base layering service to ensure that you can sit back and relax from start to finish. To learn more about our Garden Sheds, you can follow the link below to view the full range.